Thank you so much for reading this and my guides! Good luck and have a great Season 16! Greetings, fellow denizens of Sanctuary! We are at the doorstep of the 16th Diablo season, carrying a mechanics-oriented theme for the first time around: The Season of Grandeur. For the duration of Season 16, all heroes and builds will enjoy the passive effect of the Ring of Royal Grandeur. This seemingly minor change has larger implications, both for builds that traditionally use its power, and ones that don't. In short, you will be able to use one extra item slot in any build – since the required number of set pieces for the completion of set bonuses is lowered by 1. Patch 2.6.4 brings a sizable round of buffs across many sets – both popular and forgotten. Similarly to its predecessor, Patch 2.6.1, it is trying to bring playstyles and builds closer together, but whether it truly succeeds – well, we'll discover during Season 16! The patch also brings a slew of quality of life upgrades, including more visually distinct primal drops, more armory tabs, and potions no longer taking up inventory space. As a guide hub, Icy Veins receives a ton of messages on a regular basis for topics like these – I hope they are of use to the community and answer a lot of questions for Seasons to come! A guide that will take you through the leveling process efficiently and optimize your seasonal Barbarian. Immortal King (or Raekor) – Hammer of the Ancients IK's power has been vastly increased – the 6p set has been bumped to the whopping 4000%. Coupled with a push to bring HotA back in the hearts of Barbarians (Bracers of the First Men and Gavel of Judgment have both been buffed in previous patches), this is probably one of the best times to give this classic skill a shot. If you crave unrelenting, visceral melee combat, HotA is one of your best bets, either with the easier-to-grasp Immortal King or the higher pushing Raekor variant. Might of the Earth – Earthquake Never the build at the forefront, Earthquake is nevertheless steady, extremely satisfying and a feast for the eyes. Couple its wholesome rotation with the newfound buffs (the set, and previously te Girdle of Giants, and even viable Seismic Slam alteration items) and you really have a contender for Barb seasonal playtime. If you prefer to devastate a large area over precise shots, like to control the battlefield and gravitate toward feelgood rotations, Earthquake is your man… sort of. Seismic Slam Barbarian – a ruthless visual feast of a build, this cold-focused Barb spec is surprisingly tough and efficient. Raekor – Furious Charge A build you either love or hate, Raekor still got its fair share of buffs and it'd be a criminal shame to pass it by. The Raekor spender variants got the short end of the stick with the massive increase to Standoff, further enticing the build path towards pure Furious Charge, but it has never felt so good – with the buff to Band of Might, you can now take actual punishment and retaliate in kind, instead of constantly tethering on the brink of one-shot. When played correctly, this is the most agile Barbarian build and it rewards experience with the class more than any of the others. Wrath of the Wastes – Whirlwind You would think the reigning king of Barbarian builds multiple Seasons in a row wouldn't get a buff, but Blizzard were clearly unhappy with the class' performance as a whole. 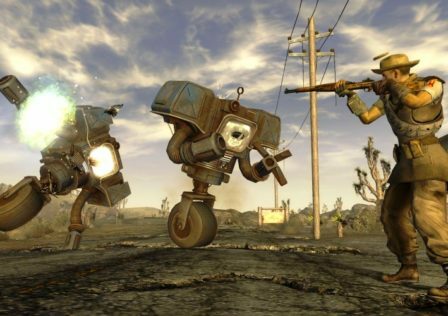 Wrath of the Wastes got a massive buff, along with its synergistic items in the previous patch. There isn't much mystery to the playstyle, but if you're looking for a laid-back, buttery smooth farmer with incredible pushing potential, look no further than this blender of a build. A guide that will take you through the leveling process efficiently and optimize your seasonal Crusader. Akkhan – Condemn …is once again a thing. The best farming spec for Crusaders (with the option to take Sage's to boot) can now plow through most GR difficulties known to men, largely thanks to the double 800% Condemn damage rolls on the Blade of Prophecy and Frydehr's Wrath. If you have ever vacuumed an enemy in a vortex of holy explosions, you know exactly what I'm excited about. Season 1 feels! Akkhan – Blessed Shield Speaking of Season 1 feels, how about some pre-Season 1 feels! There was actually a time when Blessed Shield carried the then-subpar Crusader class through the lofty heights of Torment V and VI, but the din of bouncing Doritos quieted down as soon as set buffs and seasonal items rolled in. The 2.4 reworks were not enough, but the 2.6.1 ones sure were. Captain America cosplay has never been closer to our reach, so Gyrfalcon-Jekangbord things up and get ready for the other best ranged Crusader build (alongside Phalanx – sob). Akkhan – Holy Shotgun As if the feels weren't strong enough already. Holy Shotgun got a bump on the Fate of the Fell-Bracers of Fury duo and coupled with the brushed up Akkhan and some block-based goodness it results in one of the tankiest, awesome looking playstyles in the game. Where the Invoker quietly thorns its targets to death, this Holy Shotgun build takes punishment to the face and retaliates in volleys of holy carnage. It is glorious. Try it. Build it. Live it. Sweep Attack Crusader This build cleans up house better than any janitor, especially with the 2.6.4 buffs to the Rolands set: scaling up to 13,000 on the 4 piece and up to 75% IAS on the 6 piece. The free RoRG addition makes Wrath management much, much smoother, and this build just might be your surprise this Season. It's all in that satisfying "Whoosh!" of Sweep Attack, I swear. Shield Bash Crusader – your best bet if you want to pound demon heads in Greater Rifts, if a bit on the clunky side. A guide that will take you through the leveling process efficiently and optimize your seasonal Demon Hunter. Natalya/Marauder – Sentry Also building off the Natalya buffs, this build focuses solely on the Sentries, providing Demon Hunters with a calculating playstyle cloaked behind a wall of turrets and animal companions. An extremely potent build with options to build into cold or fire for extreme endgame pushing. Unhallowed Essence – Multishot I'll be the first to admit a heavy bias to Multishot, but what's not to love? Widest screen clear during farming (only WoL Monk comes close, but it's not as smooth), coupled with Yang's Recurve and Dead Man's Legacy Buffs and a set buff for good measure. This is the closest you'll get to competitive Multishot for GR pushing since Yang's introduction, so why not take the opportunity and reap screenfuls of demons with this classic? Natalya – Rain of Vengeance Natalya is neglected no more. With a 14,000% buff on the set and last patch's doubling Lord Greenstone's Damage potential, the favorite from the earliest seasons emerges back on the leaderboard. Sure, its damage dealing choices clash a bit internally (Fan of Knives vs. Grenades), but the set makes it work through sheer numbers and is still one of the coolest DH playstyles. 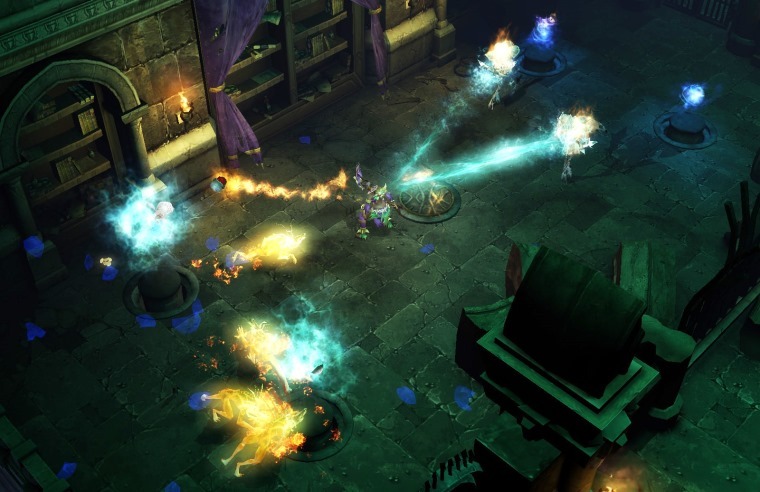 Strafing around Matrix-style and dropping various explosives is one of the more exotic things you can do on a DH, bringing much-needed variation to a traditionally ranged class. 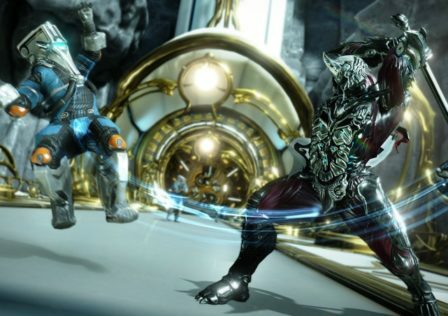 Shadow – Impale The ninja newcomer from Season 10 got its own share of buffs – not just Karlei's Point smoother resource gain, but the set turned from the eyebrow-raising 50,000% damage bonus to the even more ridiculous 75,000%. This is another unique take on the Demon Hunter formula, diving fearlessly into point-blank combat to plunge a dagger into the highest value enemy: a very fun assassination playstyle that I can heartily recommend to anyone. Chakram Demon Hunter – the ninja star-throwing counterpart to multishotting builds, with comparable AoE and more fun visuals. A guide that will take you through the leveling process efficiently and optimize your seasonal Monk. Sunwuko – Wave of Light I really, really like that build. If you dig my post from 2.4 back up, I loved it then and that hasn't changed much. Through Epiphany bugs, through the dreaded Kyoshiro's Soul upkeep, through the failing viability of the Sunwuko set, I've maintained this is one of the most pleasant builds to play. 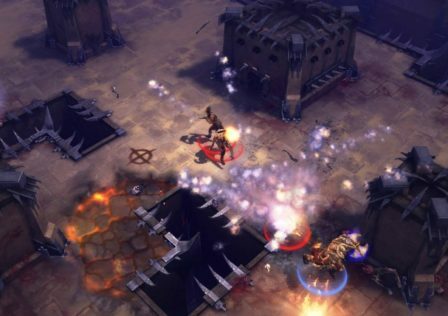 Imagine all the downsides above gone, and you can easily see why it's a top-tier recommendation for the current season – smooth playstyle, massive AoE and a fun, fiery visual. Sunwuko – Lashing Tail Kick The set-based cousin of the popular LoN spec, now more powerful due to 2.6.1 and 2.6.4 buffs. If you've ever played an LTK build, you know the deal – jump in, whirlwind kick the demons' teeth in, jump to the next pack. It's everything a Monk build should be, now made infinitely easier to gear for. Uliana – Seven-Sided Strike One of the most visually satisfying builds in the game, Uliana received a long-awaited and deserved buff (from 2100% to 9000% on the 6-piece), along with a generous helping of damage on The Fist of Az'Turrasq. This is a serious contender for one of the most fun rotations and visuals in the Diablo 3 endgame, and can easily carry you through a large portion of the GR progress without any thoughts of snapshotting ever crossing your mind. Highly recommended. Raiment Shenlong – Generator The Monk bread and butter. There is nothing wrong with liking this spec, and if you haven't hopped onto Monk in a while, it's still a great choice. If you like to punch things hard and fast and don't fear managing survivability in the closest of melee combat, this build will still deliver. Tempest Rush Monk – a fun and under-appreciated build that balances the fluidity of rushing through enemies with some carefully timed bursts. A guide that will take you through the leveling process efficiently and optimize your seasonal Necromancer. Pestilence or Trag'Oul – Corpse Lance The reigning king of the Necromancer playstyles makes a chameleon's shift to the Pestilence set but retains all the strengths and unpleasantries of the playstyle. Crippling, long cooldowns are remedied by the utter devastation once Devour meets Land of the Dead. If you don't mind spending most of your time scouting, only to receive the largest damage spike in the game when CDs line up, the Lancer playstyles can be exactly what you're looking for. Rathma – Skeletal Mage It's important to keep this build in mind for its excellent GR speedfarm capabilities, as well as the fact that it fills the summoner Necro niche. The intense resource interplay and general glassy feel of the build are richly rewarded with the best handling summons in the game and excellent damage potential. If you like to keep a tight rein on your minions with precise commands, leading a menagerie of undead at your side in complete check, this build is the one for you. Generator Necromancer – a unique take on Inarius gameplay, focusing on lightning-fast scythe attacks and intensive resource interplay. A guide that will take you through the leveling process efficiently and optimize your seasonal Witch Doctor. Arachyr – Firebats WDs were only able to take a season's worth of breather between dominant periods of this build, and it's hard to overlook the reason. At the minimal cost of Ring of Emptiness upkeep (regular Haunt and Locust Swarm application), you gain a circular, no-aiming-required wave of Firebats obliteration around you. Simple, neat, and utterly effective. Helltooth – Gargantuan The staple summoner build since Patch 2.4, the Helltooth Garg brings everything you'd expect out of a pet build: laid-back playstyle with automated minions, excellent sustain and protective options, and even some space for crowd control in the build. Increases to both the Mask of Jeram and The Short Man's Finger push the spec far past its old limits. Jade Harvester My favorite alternate Witch Doctor playstyle and one of the oldest examples of interesting set execution, the Jade Harvester has been strengthened in the new patch to at least approximate the power of his set cousins. An excellent take on the melee spellcaster fantasy, this elderly Witch Doctor favorite trades the safety of range and hexes for aggressive dives and DoT consumption. Zunimassa – Gargantuan This build thrives behind a thick wall of Fetish summons and is accompanied by lumbering, destructive Gargantuan brutes in another rendition of the pure minion playstyle. Grasp of the Dead Witch Doctor – a no-cooldown, no-resource take on making corpses rain from the sky. A guide that will take you through the leveling process efficiently and optimize your seasonal Wizard. Firebird – Meteor Reaching for the heartstrings of Meteor lovers of Sorceresses past, the 2.6.1 rework to all items relevant to the skill results in a cohesive, visual feast of a playstyle. Channeling torrents of arcane energy to conjure destructive, burning meteorites this Wizard build is one of the most attractive options for the new season. Highly recommended, especially when you consider the high tier pushing Star Pact variant for solo AND group play. DMO – Frozen Orb It's a little hard to tell which was more forgotten, the Delsere's Magnum Opus set or the Frozen Orb skill. Regardless, their newfound marriage results in one of the most powerful builds of the upcoming Season! Combine the Frozen Orb nostalgia of sorceresses past with the oft-forgotten power of Slow Time wizardry and you have an awesome new playstyle that leaves enemies debilitated and helpless, watching their frozen death creep ever closer. Tal Rasha – Explosive Blast More of an addition to these notes, but still very worth mentioning. Both Orb of Infinite Depth and Wand of Woh have been greatly increased in power, opening one of the most beloved farming playstyles back into the highest rift difficulties. This is without a doubt the build with Sage's that is the most fun to play and look at, so I can't help calling it out. Energy Twister Wizard – a surprisingly undervalued, but horrifyingly potent on the time-bending, whirlwinding destruction from seasons of yore. © Post "Deadset’s Guide Compendium for the New Season" for game Diablo 3.